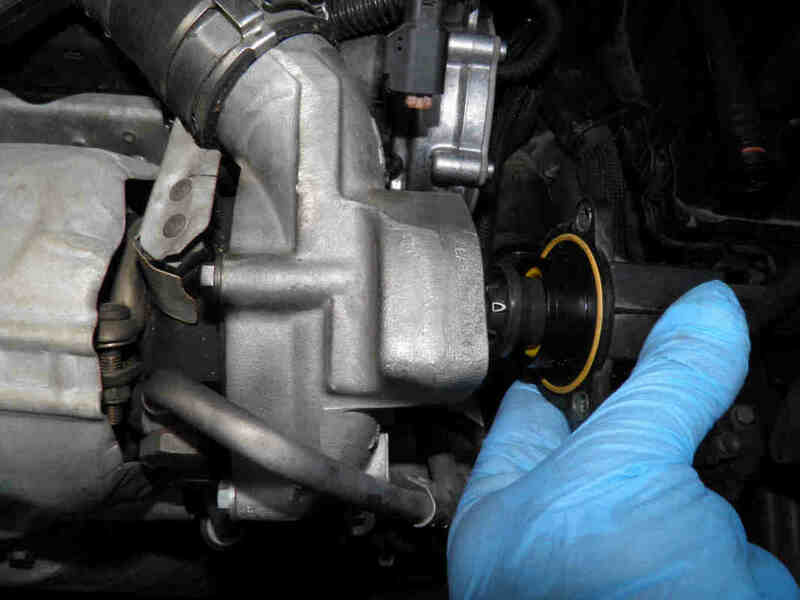 How to identify all turbo control valves and replace the compressor discharge valve. Turbo interventions are to occur on a cold engine only. Never attempt working on an engine that has just been turned off. 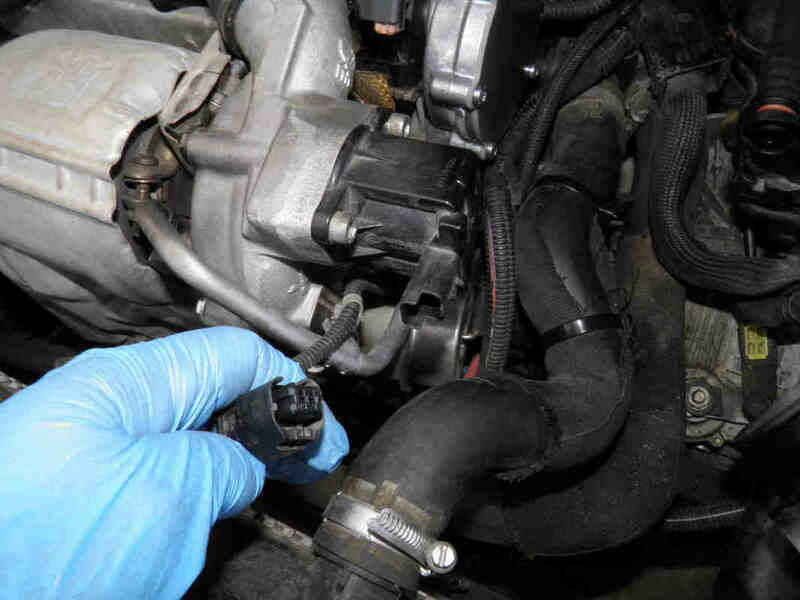 The turbo is too hot and the risks of burns or damage to the screws you are removing high. The below works occurred on a Peugeot 5008 equipped with the EP6 156HP petrol engine. 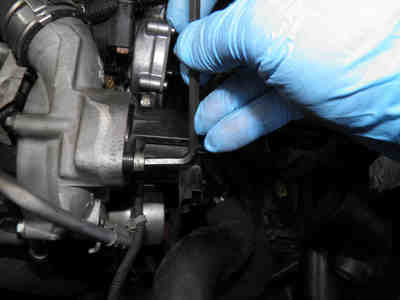 Works on many Peugeot, Citroën and Mini vehicles are identical, also similar for other turbos mounted on other engines. Turbos are controlled by 3 different valves with 3 different functions. LEFT: the Turbo Waste Gate valve, a mechanical valve operated by a vacuum actuator. 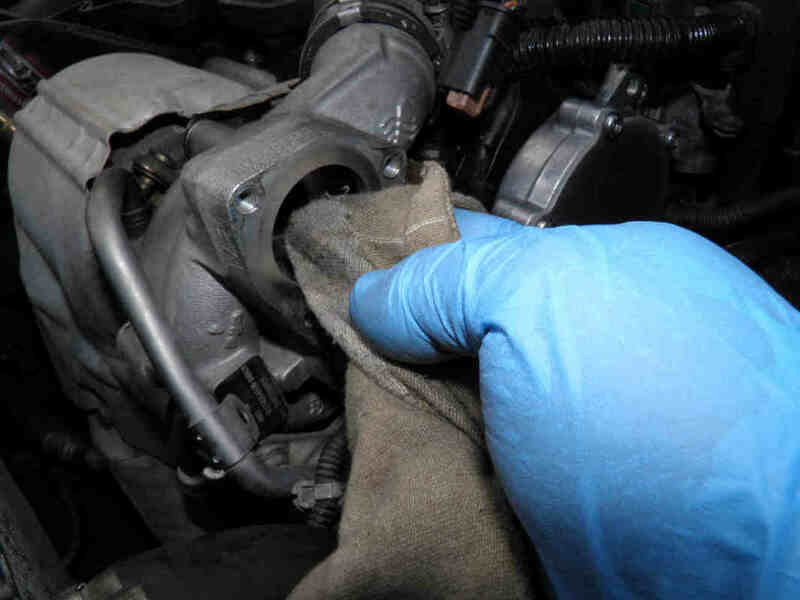 It can only be visible after dismantling the catalytic converter. It is normally open and continuously opens and closes up to various ratios as given by the ECU to regulate the turbo power. MIDDLE: the Compressor Discharge Valve, a solenoid valve electrically operated. 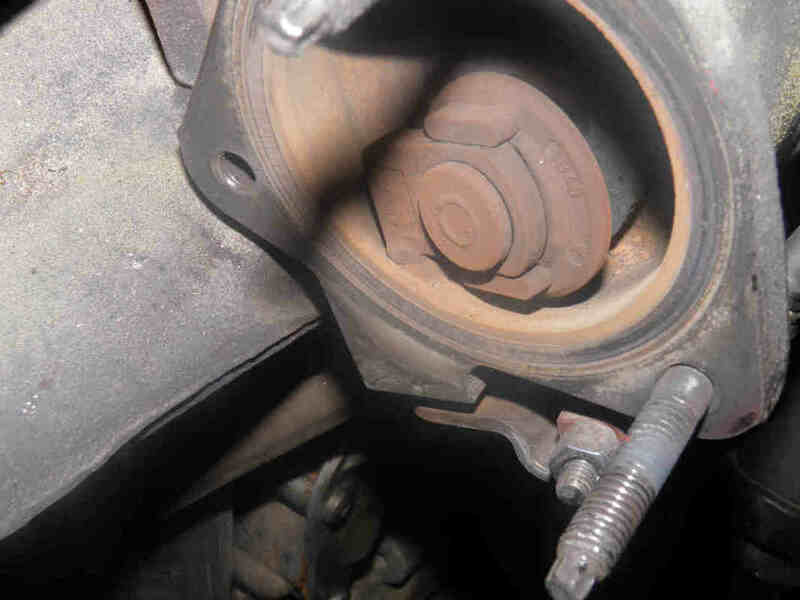 It is normally closed and opens only upon releasing the gas pedal following a sustained speed or an acceleration to avoid a turbo pressure surge. We are showing further below how to replace it. 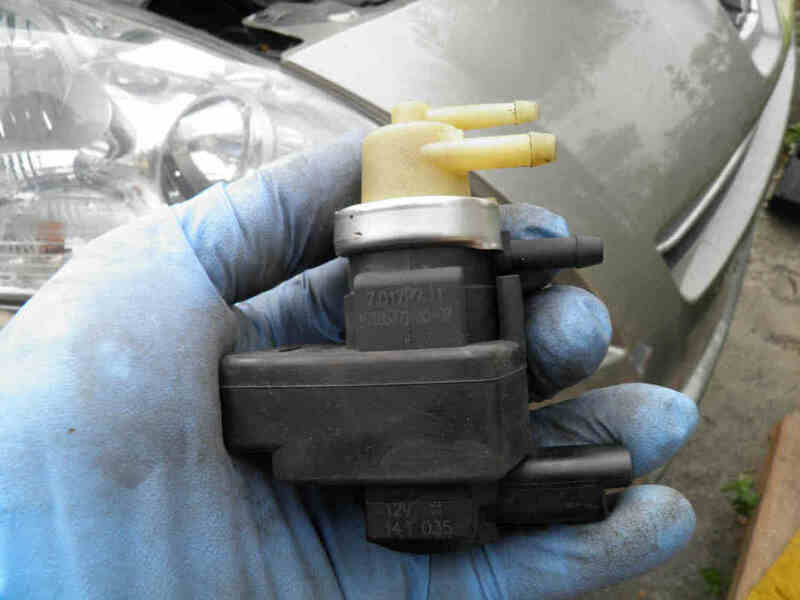 RIGHT: the turbo regulation valve, a solenoid valve electrically operated that regulates the vacuum force used to control the Waste Gate Valve. It connects the Waste Gate Valve actuator to either the atmospheric pressure (to lower the turbo pressure) or to the turbo regulation vacuum reservoir (to increase the turbo pressure). Visit our turbo vacuum controls diagnostic page for more details. Unplug the electrical connector, unscrew its 3 holding bolts, take it out, clean its seat with a soft cloth and refit the new valve! That's it, it takes a minute.